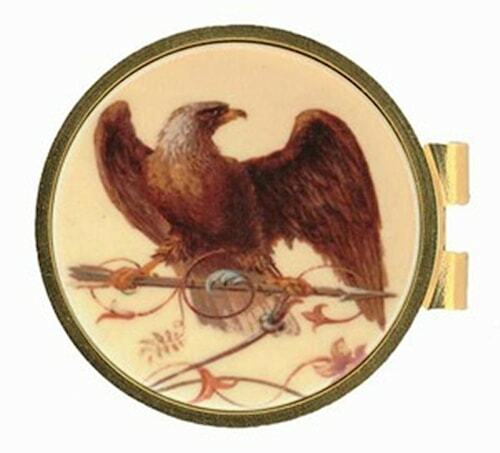 Brumidl Eagle Money Clip.This handsome accessory piece uses artistic elements from the Brumidi Corridors in the Capitol. The money clip is set in 24-kt plated finish. Gift boxed.